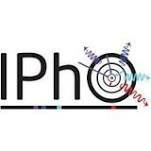 The International Physics Olympiad (IPhO) is an annual international physics competition for secondary school students. The aim of this competition is to enhance the development of international contacts in the field of physics. Students are challenged individually to solve both theoretical and experimental problems covering a range of physics topics. Managing Organization: International Physics Olympiad Inc.